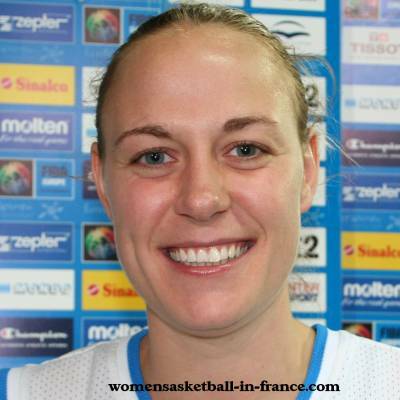 As hosts of EuroBasket Women 2013, France have the added pressure of playing in front of sell-out crowds. For their first match 5300 people turned up to see them dispatch Latvia (62-38). The contest did not last long, just 10 minutes with France leading (15-7). In the 2011 EuroBasket Women fixture between both teams had played each other with Latvia coming out on top (59-56). With France dominating the inside play, Latvia could not repeat its previous success and succumbed to a heavy defeat. 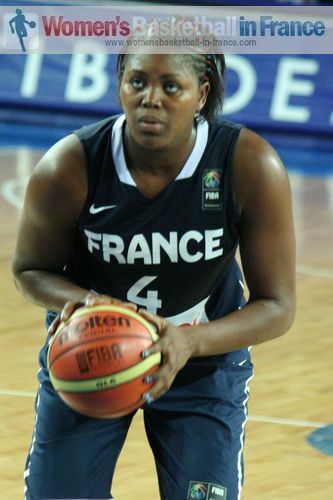 Isabelle Yacoubou-Dehoui who went 7-of-7 from the floor and 3-of-3 from the free-throw line in under 12 minutes was the top scorer of the game. France led by 19 points at the break (33-14) and were not troubled the rest of the way. From Group C, Serbia who play France next were out-muscled by Great Britain down the the stretch and ended up losing (68-76) despite the efforts of Jelena Milovanovic who had 19 points. In Group A it took 25 minutes for Montenegro to get on top against the Slovak Republic to then cruise to victory (77-63). However the question of the day was how long could Montenegro survive at EuroBaket with four players playing more than 30 minutes. Turkey did not have any problems in defeating Ukraine (72-58). The writing was on the wall by the end of the first quarter with Turkey leading (24-11). In EuroBasket Women Group B, a block by Italian Kathrin Ress on Frida Eldebrink at the buzzer secured Italy the victory (64-63). It was a scrappy game with 33% of the points coming from the charity stripes. Spain did all the hard work against Russia and should have had the game won long before the end. Leading by 13 points with seven minutes to play, Spain went to sleep and Russia scored 10 unanswered points. Spain managed to regain control once more with scores from Amaya Valdemoro and Laura Nicholls. But some sloppy defending allowed Epiphanny Prince to shoot 3 perfect free throws. So with 40 seconds left to play Spain led (72-69). The game became intense and physical with all the remaining points coming from the free-throw line. Spain held their nerve to win (77-72) with 30 points coming from Alba Torrens. While the photographers and camera personnel focused on Antonija Misura (in picture), Croatia dispatched Group D rivals Lithuania with a clinical final-quarter burst 19-4 to win the game (89-77). In the other game from the group Belarus had an easy victory against the Czech Republic (60-39). However the story of the match was the knee injury to Czech international Jana Veselá -an injury which has since been confirmed as an ACL tear.